Meteor House » Christopher Paul Carey to sign The Song of Kwasin paperback preorders! Christopher Paul Carey to sign The Song of Kwasin paperback preorders! The original plan was to ship the hardcover limited edition of The Song of Kwasin direct from the printer to Chris’ house. Then he would sign them and ship them back to Meteor House, and we would then ship them to the customers who preordered. But, shipping the books cross country, twice, was building in a big delay in getting them out in December, so we’ve decided instead to bring Chris to the books. This means he will not only be signing the hardcover limited editions, but he can also the sign all of the trade paperbacks that are preordered. So, if you haven’t preordered yet, now you have a little more motivation. 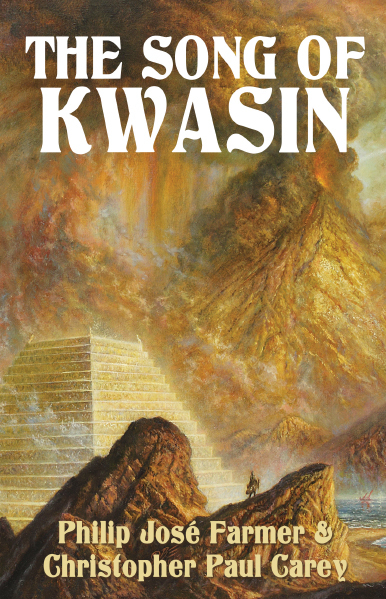 So, get a signed hardcover, or paperback, of The Song of Kwasin while you can! Comments Off on Christopher Paul Carey to sign The Song of Kwasin paperback preorders!